Discounts available for children 2-12, students, seniors over 65, and active duty military. For group discount information, click here. Cirque du Soleil is thrilled to return to Bakersfield with its coolest arena show yet—CRYSTAL. This unique arena production—Cirque du Soleil’s first-ever experience on ice— showcases synchronized, freestyle and extreme skating alongside circus disciplines such as swinging trapeze, aerial straps and hand-to-hand. 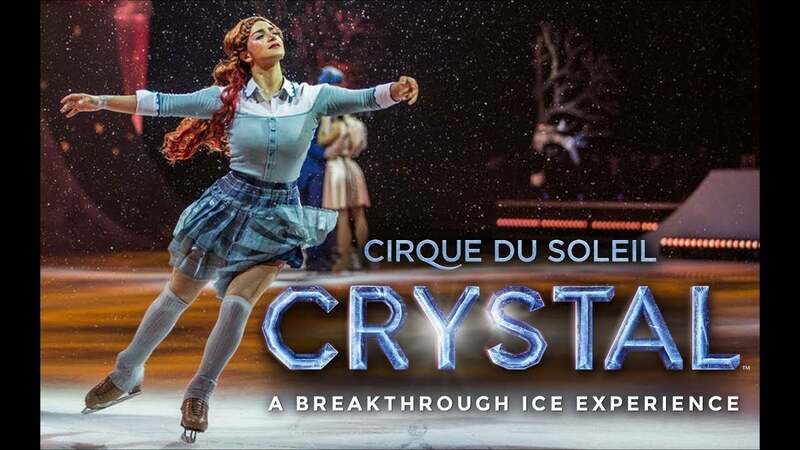 CRYSTAL will perform at Bakersfield’s Rabobank Arena (1001, Truxtun Ave) from Wednesday, March 20 through Sunday, March 24 for seven performances only.